Friday Night Pride Pre Party! Get a lion’s share of fun with AB Pure Entertainment next week. We have a full schedule of events during Tacoma Pride Festival so we’re moving our second Saturday night show to second Friday, July 8th. RSVP for our dazzling celebration of color and plastics at Tacoma Pride Pre-Party with our amazing guests Athena Kiss & Sawyer Beaver and the party goes on dancing with after-hours DJ Olivia Phaze! 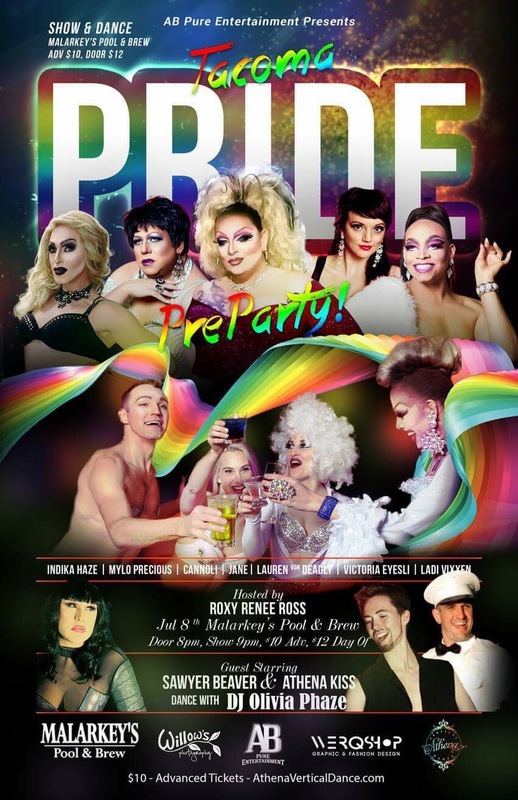 Roar and dance with us 9pm-2am, Tacoma’s BIG Friday Night Pride Pre Party! This entry was posted on June 29, 2016. It was filed under shows and was tagged with party, pride, Tacoma.